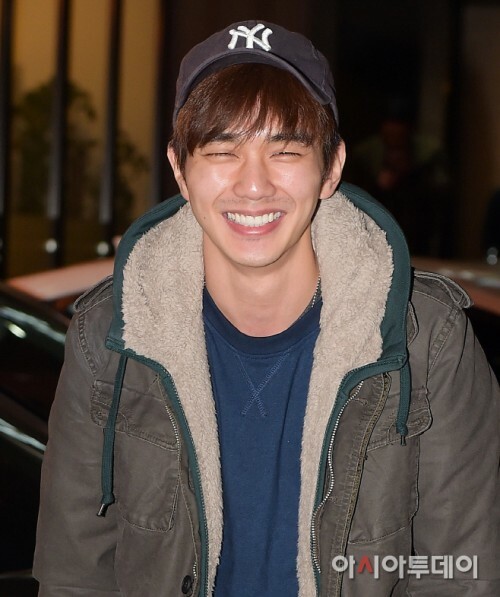 On February 18, actors Yoo Seung-ho and Park Min-young attended the wrap-up party of SBS Wednesday-Thursday drama "Remember - War of the Son" at a restaurant in Nonhyeon-dong, Seoul. "Remember - War of the Sun" is a drama starring Yoo Seung-ho, Park Min-young, Park Seong-woong, Namgoong Min, Jeong Hye-seong, Han Jin-hee, and Lee Si-eon. It's about a lawyer with superior memory, who vows to prove innocence of his father.